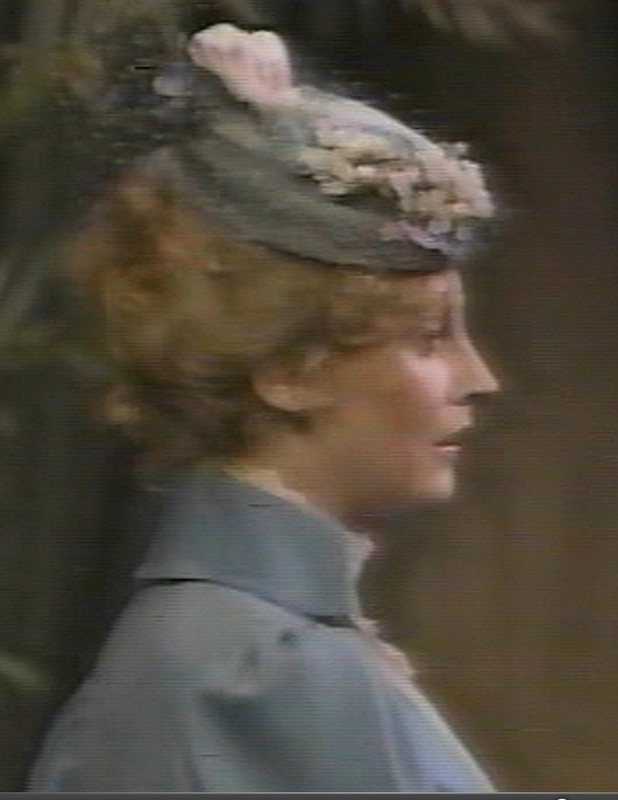 Morfogen as Moriarty and Laurie Kennedy as Alice Faulkner. A & E Cable Television filmed the stage play as part of a “support the arts” effort they had at the time. In fact, in those days A & E was quite a good station with some remarkable programing. Unfortunately it has degenerated into “storage wars”, “Lady Hoggers” and reruns of “Criminal Minds”. (But that’s a different issue.) Anyway, the stage production is well worth the watching. 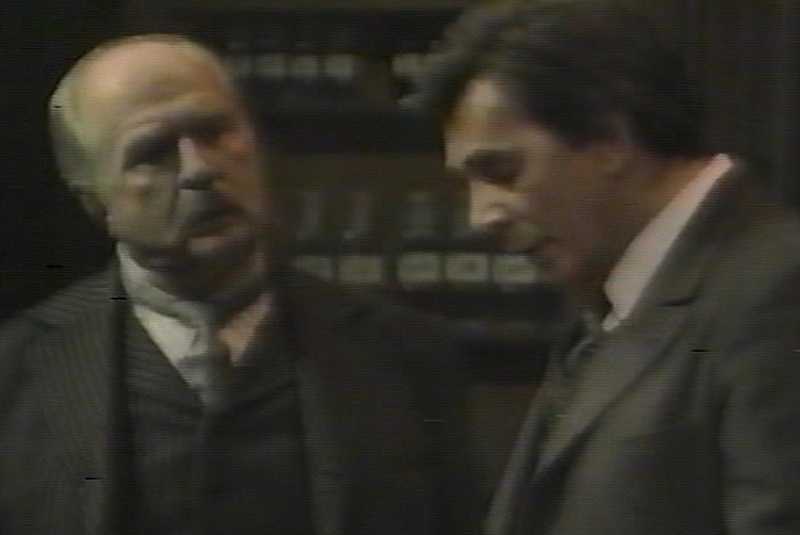 Mr. Langella does a very credible job as the famous detective. He injects, perhaps a little too much whimsy into the character but all in all it is done well. One has to wonder how Gillette played it. 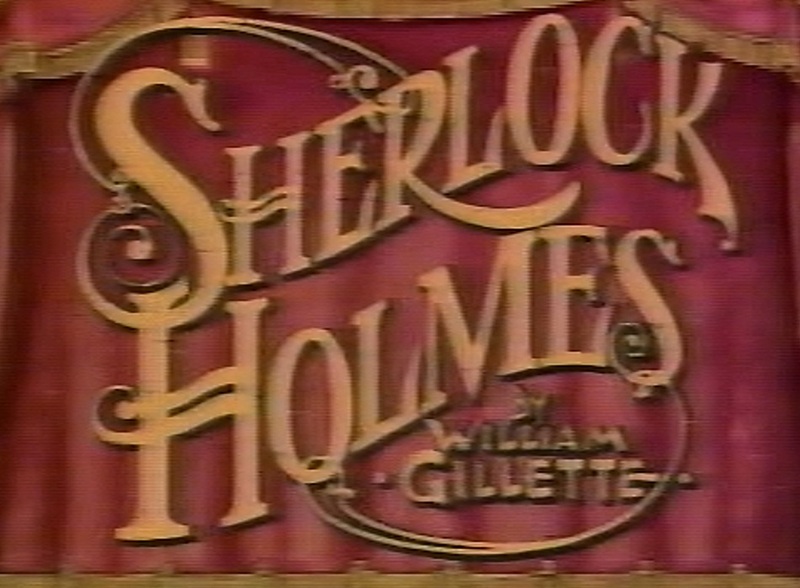 There is at least one recording of Gillette but it’s sad that no talking picture was ever made with him as Holmes. The stage notes are fairly clear that this is a dramatic part and was probably played somewhat sternly. The rest of the cast is also excellent. Morfogen really looks the part of Moriarty and gives him some life. He would have been superb in a continuing dramatic series. Kennedy as Faulkner is a character well worth saving and as a love interest for Holmes. Richard Woods does a fine Watson. Granted, he’s not David Burke, but he’s not Nigel Bruce either. He makes Watson “a fine fellow” who is both intelligent and humorous. He’s not comic relief, but he is a relaxing grin. The story line of Gillette’s play (Doyle always gave full credit to Gillette) takes tremendously from the canon and many lines are quite familiar. It certainly takes liberaly from “A Scandal in Bohemia” and it does end up with a love interest for Holmes. Some critics complained that the transition to film of a straight stage play does not work. True, we are used to dramatic scene changes, buggy chases, and dramatic shoot ‘em ups from our TV. But I found that my attention was held every bit as much as though I had been sitting in the orchestra at the theater itself. Perhaps you have to watch with a certain mind set? It is theater, not Star Wars. I did love the roar of the crowd when, having explained to Watson how he (Holmes) knows that Watson has returned to practice and moved his dressing table, Langella sits and says “Elementary, my dear Watson”. Richard Woods was born in Buffalo, NY 9 May 1923 and like many of his generation didn’t find his niche until after the “Big War”. Woods became an actor and a screen writer but is best known for his stage acting, which seems to have been his real passion. From 1950 until 1992 he appeared in no less than 31 stage plays. He played in revivals of Sherlock Holmes twice. 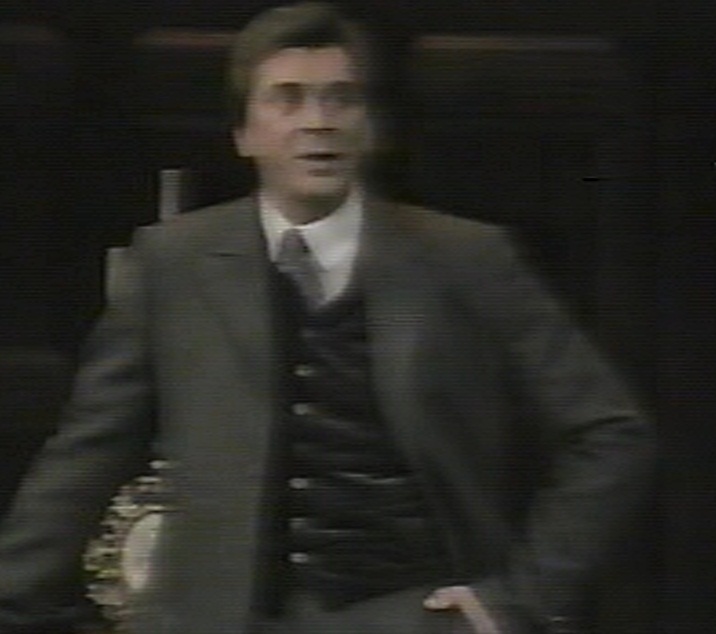 Once as Watson with Frank Langella but also five years earlier, 1974 – 1976 where he was at different times the characters Jim Craigin or Sir Edward Leighton. He also starred in such productions as “The Man Who Came to Dinner”, “Murder Among Friends”, and “You Can’t Take It With You”. Woods also had a TV and film career with seventeen different credits. His last film was in 1998 where he played Jacob Campbell in “The Love Letter”. He also made the film “In & Out” in my old home town of Northport, NY in 1997. Probably Woods greatest achievement (besides playing Watson) was his writing of the story “Endangered Species”. Based on a true story of cattle mutilations the movie stared Robert Urich and JoBeth Williams. Good cops and robbers flick. Woods died at his home in Englewood, NJ at the age of 77, 16 January 2001. I and a friend were lucky enough to be in the audience for the three dress rehersals that they opened to members of the Williamstown Theater Festival. The acting was just amazing, and it was facinating to see the subtle changes that occured between the rehersals and the final production. 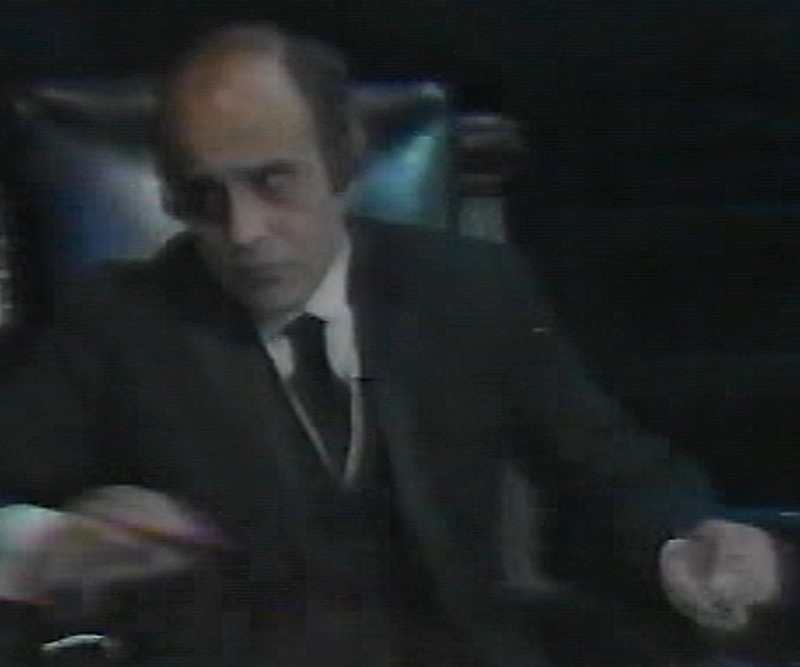 Langella was a razor-sharp Holmes with wit and heart, Woods was a staunch and reliable Watson and George Morfogen shone as the brilliant-with-a-touch-of-madness Moriarty…he would have been perfect if they had ever filmed the two books based on the character of Moriary.